MAKING A MARK: What is a still life? Vivien Blackburn and I have been participating in a debate which is trying to find an answer to "What is a Still Life?" which I gather is a question which perplexes some artists. I've been exercising my research skills to find websites that help to answer this apparently simple question - and have found some very complex answers. It would be remiss not to post links to the information here as well - hence this post! 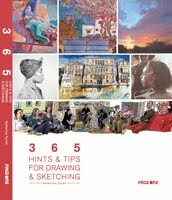 I've looked at what is available on-line rather than in books - although some of the definitions come from art encylopedias and I've also noted some basic guides at the end. (If you know of any other useful guides please let us all know in the comments). While doing the research I've embellished my own prior knowledge with some aspects and artists I didn't know about previously. So even if you think you're very familiar with what is a still life you may find something below will be of interest! I also spent ages looking through still life images from art history on the internet - I could easily have spent days - it's just so difficult to choose what to include. 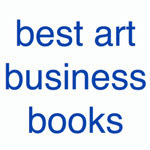 I've included links to categories of paintings - as examples - where possible. Inanimate objects such as fruit, flowers, food and everyday items are painted as the main focus of interest in still lifes. The term derives from the Dutch 'stilleven', which became current from about 1650 as a collective name for this type of subject matter. The National Gallery also lists its 'vanitas' paintings in the National Gallery. See also Wikipedia - Vanitas and a for more extensive explanation. The Virginia Museum of Fine Arts also has a website page for the exhibition it held on Vanitas: Meditations on Life and Death In Contemporary Art which is interesting. Wikipedia also has an extensive piece on Memento Mori paintings. 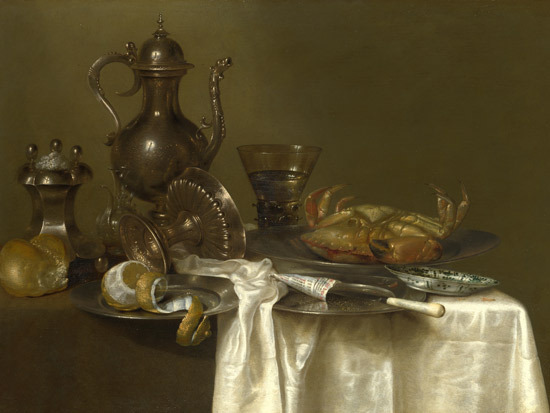 The categories of still life in Dutch art are absolutely fascinating - and I've not come across a more complete explanation so here they are but do investigate here for lots more information about each category. The Tate Gallery collection includes a lot of examples of the still life in modern art. This is how the glossary at the Tate Gallery in London defines a still life. 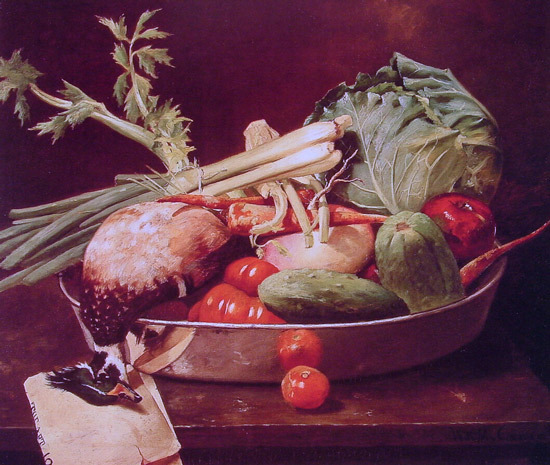 Still Life: One of the principal genres (subject types) of Western art. Essentially, the subject matter of a still life painting or sculpture is anything that does not move or is dead. So still life includes all kinds of man-made or natural objects, cut flowers, fruit, vegetables, fish, game, wine and so on. 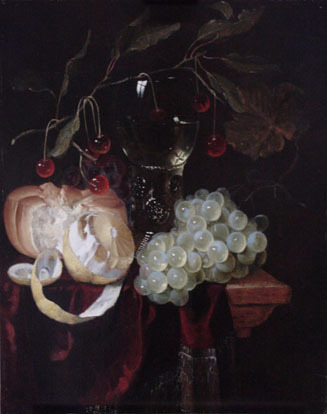 Still life can be a celebration of material pleasures such as food and wine, or often a warning of the ephemerality of these pleasures and of the brevity of human life (see Memento mori). 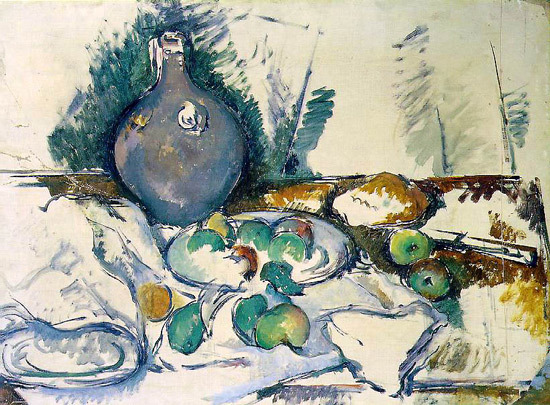 In modern art simple still life arrangements have often been used as a relatively neutral basis for formal experiment, for example by Paul Cézanne and the Cubist painters. Note the plural of still life is still lifes, and the term is not hyphenated. 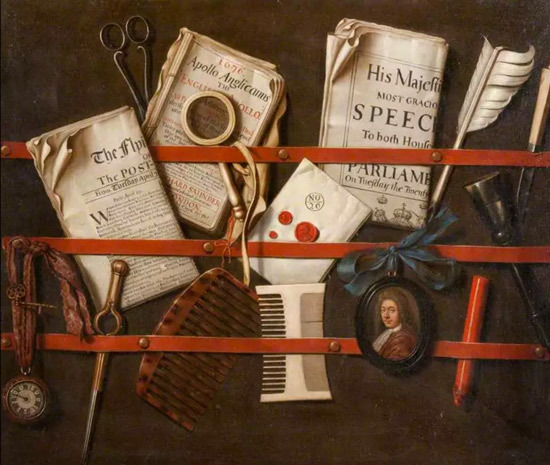 Meanwhile, over the pond, the National Gallery of Art in Washington website has a page of its website glossary devoted to explaining the still life in American Art. This is the link to the images referred to in the glossary text below. The depiction of inanimate objects is called "still life." 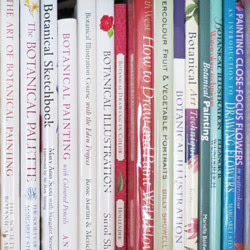 Common subjects include flowers and fruit, tableware, books and newspapers, and musical instruments. The function of a still life may be straightforward representation, or the artist may intend to convey a more subtle, moral message. Traditionally, still lifes and still-life elements of larger compositions have complex iconographical significance. 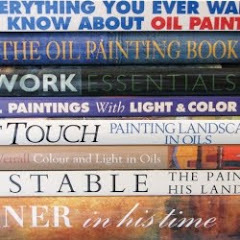 For example, the presence of books, maps, or writing materials in portraiture refers to the sitter's knowledge and education. Cut flowers, a snuffed-out candle, or signs of decay in fruit and other food represent the transience of life and are meant to remind viewers of their own mortality. As well as rehearsing the traditional history of the still life in American History the NGA definition also says something about how the concept of the still life has been brought up to date in the USA. In the twentieth century, still-life painting continued to be transformed by successive modernist styles. The still-life works of Charles Demuth combine the fragmented space of cubism with nuanced attention to organic forms. Charles Sheeler's precisionist still life has the clean lines and quiet solidity more often seen in his landscapes of industrial America. The constrast between accurate representation and modernist style was best explored by Georgia O'Keeffe, who uses both realism and abstractions of the natural world. During the mid- and late twentieth century, meaning and subject matter in still-life painting was again transformed and expanded. Pop artists substituted soup and beer cans for the more traditional fruit, flowers, or books. Wayne Thiebaud expressed the optimism of America in the 1950s and 1960s with his seemingly endless arrays of cakes and pies. These objects no longer carry subtle moral messages but have become icons of a consumer-driven culture. 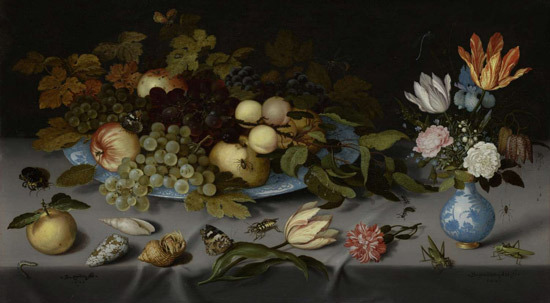 Allegory and symbolism are also worth exploring in relation to still life paintings and it's interesting to note how their use has waxed and waned through the history of art. Some definitions of still life comment on the symbolic meaning of certain types of still life painting and some objects. However very many natural objects (flowers or food) also have very particular symbolic meanings. For example, sunflowers have been seen as a symbol of power. 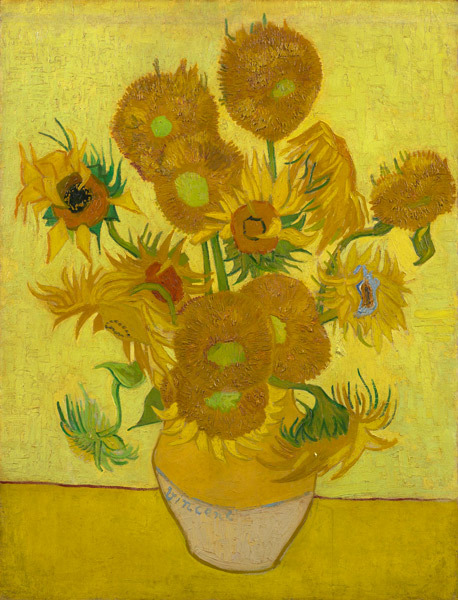 However that doesn't mean to say that every still life with a sunflower is about power. These were painted by Van Gogh to decorate Gauguin's room in Arles. However my question is whether this is still the case when the quantity of still life objects is far from subordinate. Such paintings don't seem to fit conventional definitions of a still life. Some paintings I've seen certainly appear to be a still life in search of a concept for painting a huge amount of classical still life objects in one composition. For example, the sixteenth century dutch painting below suggests to me that it's a major still life in search of a religious theme to justify the concept. I've been particularly struck by how many well executed still life paintings all seem to be in the kitchen of the house of Martha and Mary with Christ in the background! Contemporary concepts and interpretations of 'still life' have pushed the boundaries - and seem to want to reclaim "nature mortes" for a modern context. The White Cube in Hoxton (one of the leading edge contemporary art galleries in London) has a website page about an exhibition in 2001 called "Still Life"
The works Marc Quinn displayed as part of his Still Life exhibition, show a preoccupation with the mutable physical states of the human body: the spiritual and the physical, the inner and the outer, the cerebral and sexual. Using a diverse array of materials ranging from ice and frozen blood to marble and lead, his highly charged works have a resolved semantic core where medium and subject become inextricably locked together........The exhibition also included 'Reincarnate' (1999), a vase cast in the artist's frozen blood with a real orchid emerging from its centre. The work explores notions of regeneration and the continuation of life on an atomic level when the form of the body is long gone. Which is all quite a long way from what most people think is a still life! 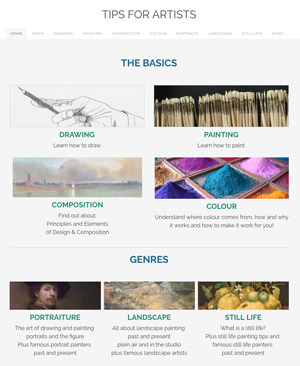 Artcylopedia also provides a list of still life painters in a chronological order. What is fascinating here is how few modern artists are labelled as still life painters even though a significant part of their work may be still life. My guess is that the notion of conceptual art may have more appeal to the dealer. Using the search term "still+life" in galleries containing modern art identifies pieces using the term in the title. This is the wikipedia article about still life. 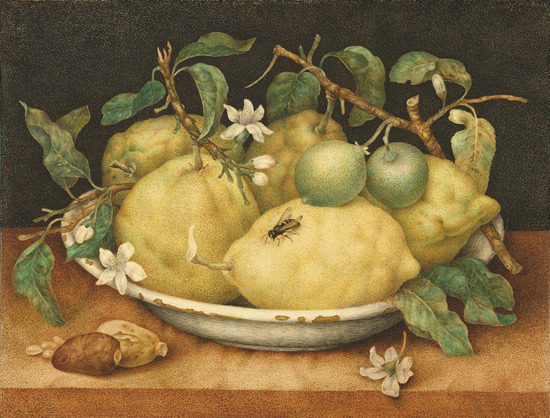 Wikimedia Commons also has copies of still life paintings on file. Oddly, one of the things I've got out of all of this is the need to rethink and redesign my website - it's made me realise that maybe its structure is confining me! I think in future it should focus on some simple categories and group accordingly - life (figures - people and animals); still life (objects); flowers (because it is a special interest); places (interiors and landscapes). I've already set up the flowers page and I'm working through the rest. 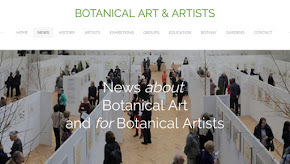 I've also noticed that the images I chose suggest a certain preoccupation with food - however my excuse is that another blog post will focus on flowers in still life paintings! 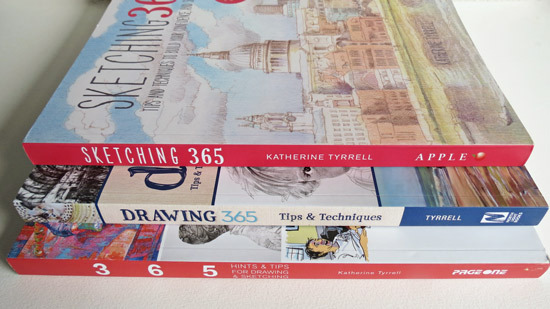 Good heavens, what a lot of great information on still life! You must spend hours researching all this Katherine. I'll have to take time to digest some of this. I know there are lots of debates about what constitutes a still life and whether or not any living item should be included in the genre. Jeanette - it just struck me that I thought I knew about still life but that I'd never looked at it properly and thought it was worth the effort - which it was! 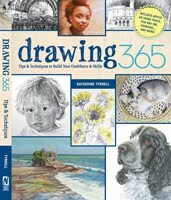 The more I do my projects the more I am convinced that digging around in the past and on-line is as helpful to my development as using a sketchbook on a regular basis or making time to try new art supplies or just get some art done. As someone who primarily paints plein air, a still life is an opportunity to learn. I can more easily design lessons, given the complete control in light, objects, shapes and colors possible in a still life. I've done studies of all green objects for example, to fine-tune my understanding of that color. After trying to chase the sun all day outdoors, it's also really relaxing to setup a still life in my studio. No rush. But of course! Thanks for that one Ed. This is an interesting discussion. Keep it up girls. As you may suspect, this post is near and dear to my heart. As much as I respect your artwork I realize with this reading what a gift for teaching you have!! I'm so happy to become reacquainted with Vanitas...something I had forgetten about...and something I employed not too very long ago with a certain painting of Bones and Eyeglasses. Thankyou Thankyou for giving me back the vocabulary! I've studied the American Trompe L'Oeil Artists ( Peto and Harnett )But I never knew of Collier. Must go read about him now. The title inquery is a question I've asked myself more then once. I may have a more concise opinion after mulling over this post (and it's links) a few times...then again my feelings about what Still Life is may become even more grey....Hmmm. Anyway, for this still life painter I just got a much needed "jolt" back to my focus as an artist. Yeehah! I haven't been able to spend any time online for the past week. Coming across this post has been a wonderful respite from a very busy time. Thankyou again for your time and research! What a wonderful post! Thanks so much for putting it together for the world to learn from! 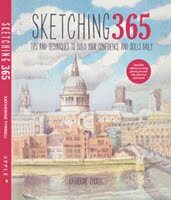 Great post - I've linked to it on my blog- Calm Things, a still life blog.